Author(s): Lutz W, Goujon A, Samir KC, Stonawski M, Stilianakis N eds. Author(s): Tennberg M, Emelyanova A, Eriksen H, Haapala J, Hannukkala A, Jaakkola JJK, Jouttijärvi T, Jylhä K, et al. Reference: Tennberg M, Emelyanova A, Eriksen H, Haapala J, Hannukkala A, Jaakkola JJK, Jouttijärvi T, Jylhä K, et al. Author(s): Emelyanova A & Rautio A. Impact analysis and consequences of change. Author(s): Turunen M, Degteva A, Tuulentie S, Bourmistrov A, Corell R, Dunlea E, Hovelsrud G, Jouttijarvi T, et al. 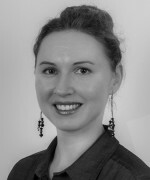 Dr. Anastasia Emelyanova is a Postdoctoral Researcher at the University of Arctic Thematic Networks and Research Liaison Office (Thule Institute at the University of Oulu, Finland). She is Vice-Lead of the UArctic Thematic Network on Health and Wellbeing. Anastasia is also a Guest Research Scholar at the International Institute for Applied Systems Analysis collaborating under umbrella of the Arctic Futures Initiative, World Population Program as well as Wittgenstein Centre for Demography and Global Human Capital (Austria). She is an invited author to several international projects such as “Advancing Elderly People’s Agency and Inclusion in the Changing Arctic and Nordic Welfare System”, “Arctic Youth and Sustainable Futures”, “BRICS Countries Cooperation on Population Matters 2015-2020” etc. Her main research interests include demography and population changes across the Arctic region, northern health and wellbeing, and policy in respective fields. She holds academic degrees from the University of Oulu and Northern Arctic Federal University (Russia) with her theses focusing on population ageing in the Arctic. Recently, she has worked on projections of the Arctic human population factoring the parameter of educational attainment as a key human capital reserve.